Increase brand awareness and reach new target clients by becoming known as the best digital solutions provider in B2B manufacturing. Create a cohesive digital marketing strategy aligned with their larger business objectives, through the creation of video case studies, website updates, innovative sales tools, social media management, and robust solutions decks. 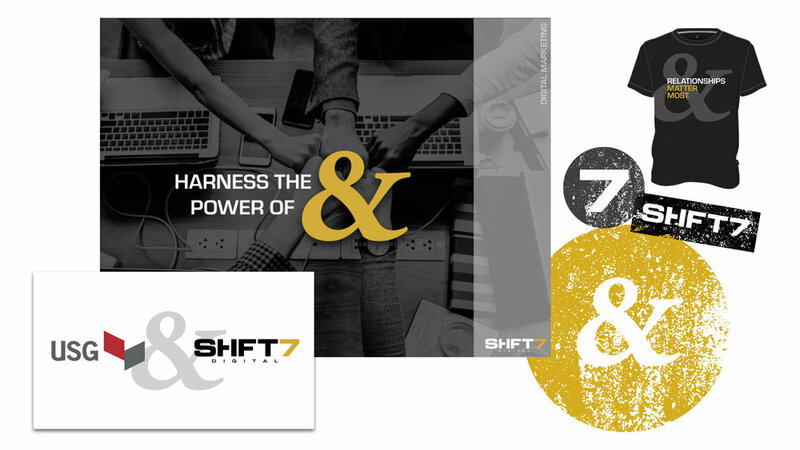 Shift7’s unique marketing strategy makes digital business transformation accessible to anyone. Comprehensive designs of decks, videos, and infographics, as well as fully produced video case studies to promote their offerings. Published consistent, branded copy on their company LinkedIn page, increasing their page views and overall brand awareness. Our LinkedIn campaigns also allowed them to target ideal candidates during a hiring push. Wrote and designed five comprehensive offering decks in less than three weeks for their Quarterly Business Review.